Posted on 30, May 2018 by Digi Communications | This entry was posted in Business, Financial, Hungary, Internet & Online, Investment, Management, News, Romania, Technology, Telecom and tagged acquisition, broadband, broadband internet, broadband internet services provider, Digi Communications, Digi Communications NV, Digi HU, DIGI Távközlési és Szolgáltató Kft., fast internet, fixed line telecom networks, fixed line telecommunications, fixed telephony, HD television, Hungarian Competition Council, Hungarian telecommunications market, Hungarian telecommunications operator, Ilford Holding Kft., InviTechnocom Kft., Invitel Távközlési Zrt, Invitel Technocom Távközlési Kft., mobile telephony network, RCS & RDS, Serghei Bulgac, share purchase agreement, telecommunications provider, Valentin Popoviciu. Bookmark the permalink. BUCHAREST, Romania, 30-May-2018 — /EuropaWire/ — The Company would like to inform its shareholders that, as a result of the completion of the conditions to closing provided in the share-purchase agreement (“SPA”) signed on 21 July 2017 between DIGI Távközlési és Szolgáltató Kft. (“Digi HU”), as the purchaser, and Ilford Holding Kft. and InviTechnocom Kft. (former name Invitel Technocom Távközlési Kft. ), acting as sellers (the “Sellers”), the acquisition by Digi HU of shares representing in total 99.998395% of the share capital and voting rights of Invitel Távközlési Zrt. (the “Target”) was finalized today, 30 May 2018. For the year 2017, the Target had a revenue of HUF 25,769 billion (approximately EUR 83.3 million) and an EBITDA of HUF 7.550 billion (approximately EUR 24.4 million). At 30 April 2018, the Target had 695,099 RGUs (revenue generating units) in cable TV, broadband internet and fixed telephony. 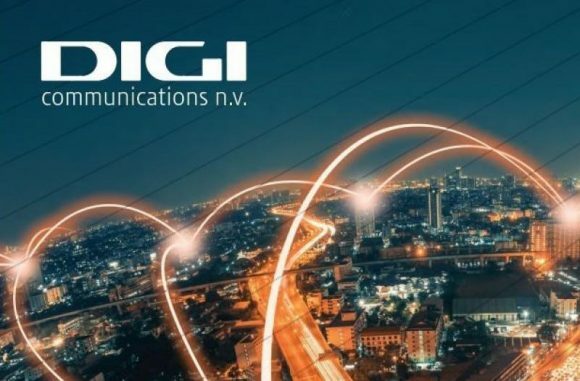 In May 2018, the Hungarian Competition Council cleared this transaction subject to the following commitments having been undertaken by Digi HU: Digi HU to sell within six months the network the Target currently holds in 16 Hungarian settlements, as well as to refrain from extending the lease contracts in place with independent fixed-line telecom networks in 23 Hungarian settlements. For other relevant information regarding the SPA and the transaction, we invite the market and our investors to also refer to the announcement issued by the Company to the market and to its investors on 21 July 2017.